Pamelia Sue Govig, a 74 year old Trenton, MO resident, passed away at 2:46 a.m., Sunday, February 03, 2019 at St. Luke’s Hospital on the Plaza in Kansas City, MO. Memorial services are scheduled for 2:00 p.m., Thursday, February 7, 2019 at the Trenton First Assembly of God Church. Memorial donations are suggested to the funeral expenses and may be left with or mailed to Whitaker Eads Funeral Home in Trenton. 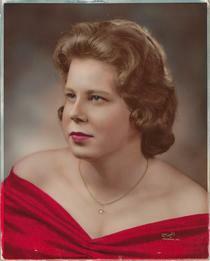 Pamelia Sue Lovell-Govig was born January 18, 1945 in Trenton, MO to Arthur and Velma (Courtney) Cunningham. She graduated from Galt High School with the class of 1963 and then received her Certified Nursing Assistant diploma. Pam worked for Eastview Manor Care Center and Sunnyview Nursing Home before moving to Iowa where she worked in Red Oak and Shenandoah nursing homes. In 1963 she was united in marriage to John Daryl Bryan. He preceded her in death. She was married in1974 to David Paul Lovell. He preceded her in death in 1985 and she was then married to Ed Govig in 1987. He also preceded her in death in 2013. She spent much of her time knitting baby blankets and hats that she donated to Birth Right of Chillicothe and spending time with her dogs. Surviving relatives include her sons Tim Bryan and wife Gail of Spickard, MO and Tommy Joe Lovell of Newton, IA, grandchildren Cade David Lovell of Red Oak, IA and Susan Lee Benner of Liberty, MO, great grandchildren Dustin John Benner and Anaya Marie Benner of Liberty, and her dog Mr. Wiggles. Those preceding her in death include her parents, step father Paul Whitaker, and sisters Ethel Keith, Helen Thompson, Ruth Brown, Glenda Townsend and Mary Sterling.